All the US-only beauty brands we’ve coveted are slowly making their way across the pond, one by one. 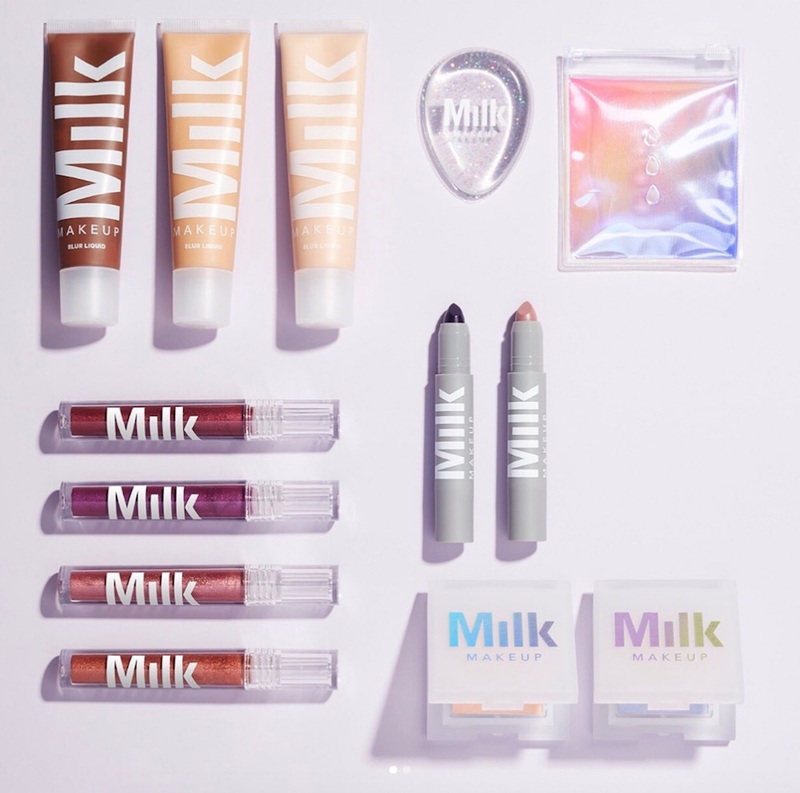 The latest is Milk Makeup, a cooler-than-cool makeup and skincare brand which will be available from Cult Beauty later this month. Milk is a favourite of YouTubers and Instagram MUAs – and even if you haven’t paid much heed to it before, you may just recognise its see-through packaging. The products are practical and super easy to use, and they’re cruelty-free, too. So what should you watch out for? Here are five of their most loved products. The secret to this volumising fibre mascara? Cannabis oil. The brand claim it makes the formula ultra conditioning, and we’re certainly intrigued to say the least. Some days it’s just all about how fast you can get the face on, and this stick can be swiped on lips and cheeks to add a bit of colour on the go. Nice. They had us at the word ‘blur’, TBH. This full coverage foundation promises to leave you with a flawless face – and it contains no oil or silicone, which should make it friendly to most skin types. Back at it again with the blurring products. This right here preps your skin for makeup, leaving a smooth and poreless matte finish. An eye cream in a stick, this cooling gel will brighten, hydrate and de-puff tired eyes. Ideal for those hungover days. Milk Makeup comes to Cult Beauty on January 28 – we reckon it’s time to introduce a cannabis-infused mascara to our lives.